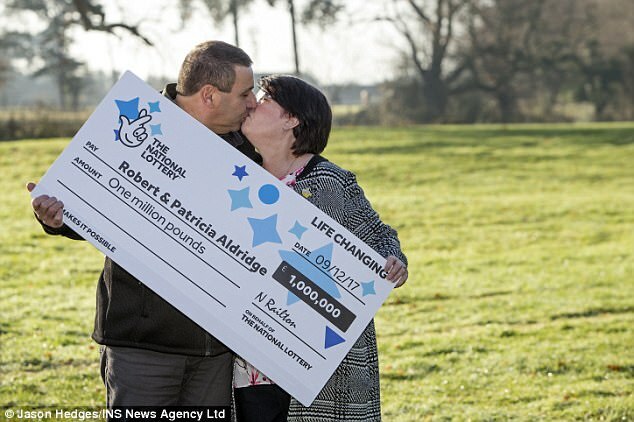 Web News System: Care assistant, 55, scoops £1million on Lotto raffle but says she'll still do a 12-HOUR shift on Christmas Day. 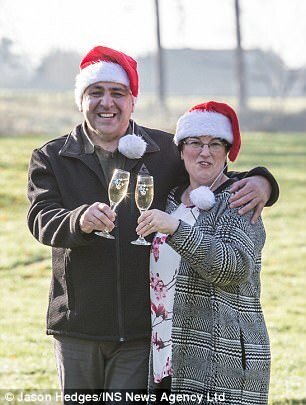 Care assistant, 55, scoops £1million on Lotto raffle but says she'll still do a 12-HOUR shift on Christmas Day. While some lottery winners quit their jobs and jet off into the sunset, Patricia Aldridge isn't letting £1million stop her from doing a 12-hour shift at a care home on Christmas Day. 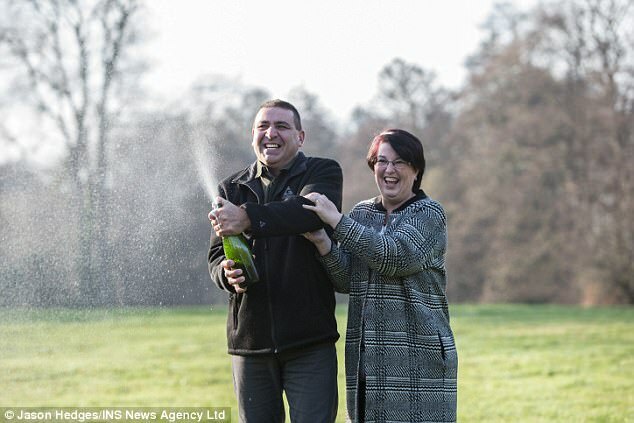 The 55-year-old care assistant and her husband Robert are celebrating becoming millionaires today after scooping the top prize on the Lucky Dip. But the couple, who live in a £290,000 house in Slough, Berkshire, are keeping their feet firmly on the ground, saying the hefty sum 'won't change a thing'. The mother-of-three will start her 12-hour stint at a Dementia and Alzheimer's home in the area at 8am on December 25. She said: 'I really don't mind working Christmas because I love it. 'Christmas in the home is a special time for the people there so it is just nice. I'll be working from eight in the morning until eight at night. 'It'll be a normal day of work but they also have a massive Christmas dinner and it is very festive and a really nice day. The Aldridge family will still be celebrating, but on another day 'safe in the knowledge it is going to feel like Christmas more regularly' in light of their increased bank balance. And after buying lottery tickets every week for the last 23 years, they are ecstatic to have won. One positive the family are drawing from their new-found fortune is breaking the 'Christmas curse' they have suffered in the last few years, after losing three relatives in three months. Mrs Aldridge said: 'We lost both my parents three months apart just before Christmas a few years ago so it's been hard to celebrate. 'Then last year we all decided we'd make an effort again, only to lose my brother to heart failure on Christmas Eve. 'It's been so tough but we hope that this win heralds a new and happier season of joy in our family. 'If I'm honest, following our loss last Christmas I really was beginning to think we were cursed for Christmas, but it seems that maybe out luck has now turned. So far they have bought a new car, but are hoping to buy a four-bedroom home in the hope of enticing their son back home after moving out. Mrs Aldridge said: 'Nothing will change. We'll still be us. We're just secure in the knowledge we can help the children. 'My eldest son works in London, but it got a bit expensive so he's actually moved in with his other half's mum and they were looking to move out and get their own place at the beginning of next year. 'Once they'd been independent it is really difficult to go back to living with parents. The money will help them get their own place. 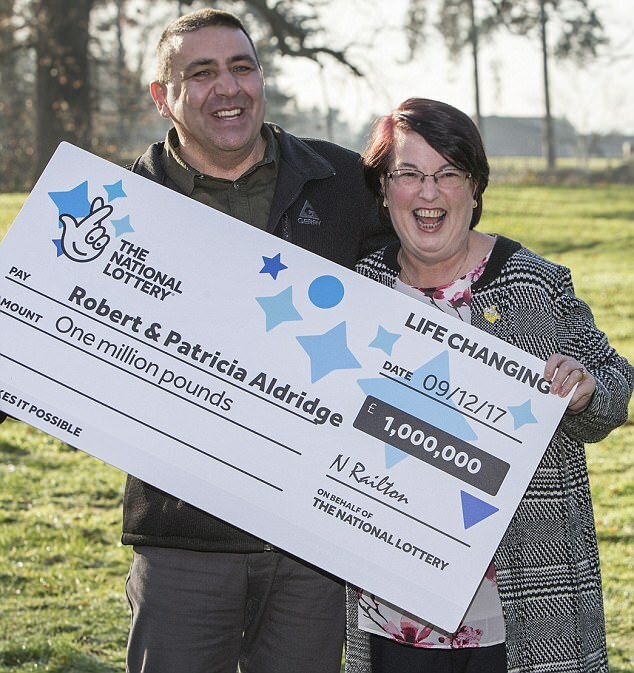 Both Patricia and Robert's colleagues went 'ballistic' when they heard the news as what is usually a quiet working atmosphere erupted in joy for the couple and their lotto win. Robert said: 'My colleagues all know. My boss asked if it would be okay to tell my colleagues and I said it would be fine, so yesterday my boss said someone's a millionaire and keeping quiet about it during a full staff meeting and I gave it around 10 seconds before I stood up and said it was me and everyone went ballistic. 'It is unbelievable but you can win it. 'The money is in our account today and we haven't seen it yet.